The following talk was presented at the Peter Wall Institute for Advanced Studies. You can watch the talk on Youtube. 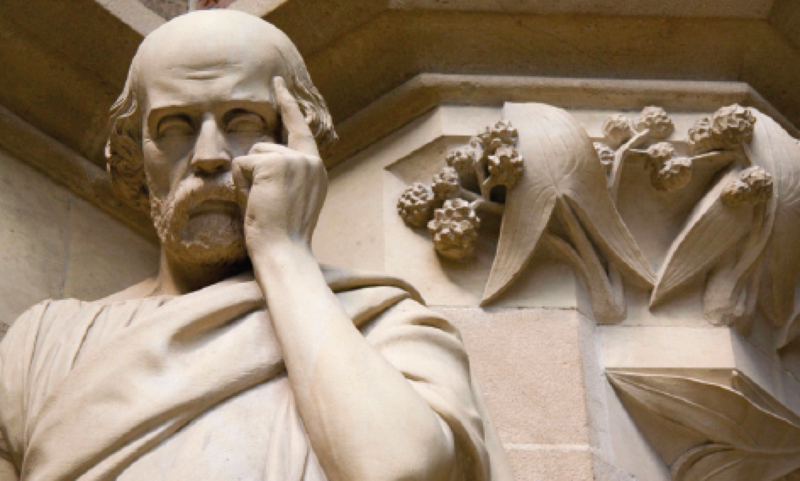 The ancient Green philosopher Aristotle believed that every activity or practice aims at some good—some state of affairs one has reason to want (or should want). The teacher encourages learning; the nurse brings the sick back to health; the legislator makes laws. Good practitioners tend to have what Aristotle called virtues or “excellences.” These are qualities of character that enable the practitioner to bring about these goods. They include things like: courage, patience good judgment, the ability to deliberate, discernment or understanding, and empathy. Aristotle believed that practitioners with such character traits are more likely to know what is the right thing to do in a given situation, to do it at the right time, in the right way, and for the right reasons. This is what Aristotle called practical wisdom, or phronesis. Nowadays, talk of virtue or character seems quaintly old fashioned. We think it is enough to follow rules and incentives. Aristotle would have argued that rules and incentives are important, but often they’re not enough. We need organizations that encourage practitioners to make wise decisions. Only wise practitioners can attain the purposes intrinsic to our institutions. I’m going to give you some examples of wise practitioners. But first let me give you an example of what happens when organizations discourage practically wise decisions. 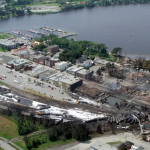 On July 5, 2013, an mile-long train carrying over 70 tanker cars, many full of crude oil, was parked at the top of a hill slopping toward the town of Lac-Megantic, 10 km away. The engineer secured the train with 7 hand breaks but did not turn off the independent airbrakes to check whether the handbrakes alone were sufficient to hold this train in place. The engineer had worked the train hard to get up the hill and he noticed that the main engine was spewing dark and oily smoke. After talking with the rail traffic controller, it was agreed to call it a night — the morning crew would fix the troubled engine. Shortly afterward the engine caught fire. A call to 9-1-1 brought firefighters to the scene. Following protocol, and with the agreement of the track forman, firefighters turned off the train’s engine to kill the fire, not realizing that this would take the pressure out of the airbrakes. Again, the train was left unattended. As the pressure in the airbreaks dropped, the train started to roll. By the time it hit the town of Lac-Megantic it was going 100 km/hr. 6 million litres of crude oil were spilled into the town, and caught fire almost immediately. The derailment and explosion incinerated the downtown core, killing 47 people. The city looked like it had been hit by a bomb. Imagine that we are all-knowing and judicious observers. We look down on Lac-Megantic as if from above. We can see that nobody grasped the fact that this train, parked on a hill, was like a missile pointed at the heart of the town. We can see that everyone was trying to do their job, but they were operating inside separate boxes. One of those boxes was, of course, the company. If we look inside, we discover that it did not have a good safety culture and its CEO was only interested in profits. The company didn’t provide good safety training. It used cheap substandard parts in repairs which caused the train to catch fire. It cut corners, literally: it routed trains with dangerous cargo through populated areas. It parked trains on main lines not on sidings. It used cars that were easily punctured. If we widen our lens, we discover that the number of government inspectors was drastically reduced in the years leading up to the disaster, even as the number of trains carrying oil dramatically increased. As all-knowing spectators we can see that the disaster could have been avoided by wise decisions. Those would have been wise decisions. How can we create organizations that induce wisdom among its members? The answer, not surprisingly, often comes from practitioners themselves. I am going to give you a couple of examples of practically wise professionals. I am going to show you how in each case they encountered a morally-significant problem. They pursued the aims of their activity. Sometimes they ran up against the culture of the organization of which they were a part. And when that happened , they created new institutions to encourage better practice. The first example is Liz Evans. She was a psychiatric nurse working in a Vancouver hospital dealing mental health emergencies. Before doing her daily rounds she’d sit at a table with doctors, other nurses, occupational health specialists, and orderlies. She’d talk to about getting to know her patients—how she listened to them, talked to them, and tried to understand their problems. Her colleagues would look at her like she was wasting their time. Evans found that hospitals are great for dealing with acute emergencies, but they put people in boxes. They take them in a moment of time, and treat their symptoms. She found it was hard for hard for practitioners to take off their physiological lens and see that they were dealing with people who had stories, who were dealing with sadness and pain. Many of the patients in her ward were homeless and poor. The hospital staff would treat their symptoms and discharge them without dealing with the underlying problems. Often they’d be back in a month or so, or worse they’d not be back which might mean they had perished in the streets. So Evans left the hospital. She joined an NGO that was trying to provide a safe space for the homeless and poor in the DTES. Around this time about 400 people were dying of overdoses every year in BC, mostly in the DTES. That’s more than one person every day. HIV infection was the highest in North America – and comparable to SubSaharan Africa. So, working with other nurses, nuns, academics, drug users, mothers of drug users, church leaders, and lawyers, Evans helped turn that safe space for vulnerable people into a supervised injection site that would provide clean needles, prevent overdoses and the spread of infection, and detox for those who were wanted it. It is called InSite. To run an organization like this demands a special set of skills. The ability to know when to leave someone alone. To listen to what people say they need, rather than offer what you think they need. Putting them at the centre of attention, not yourself. InSite has reduced HIV infection and overdoses, extended life expectancy, and saved lives. It has won the support of mayors, councilors, parliamentarians. The police regularly refer people to InSite. And it has survived a supreme court challenge. None of this would have happened had people like Liz Evans and many others not seen the human side of the train wreck that was happening in the DTES. She had (and has) the qualities of character—empathy, the ability to listen, the courage, and the motivation—that comes from the belief that health care is about preventing harm and finding ways to help people and communities to flourish. The capacity for wisdom may be inherent in human nature, but it has to be cultivated. Wise practitioners are interested in how you cultivate good practice. Practical wisdom involves knowing the right thing to do in a given situation, doing it at the right time, in the right way, and for the right reasons. Politics may be the activity in which we need practical wisdom the most – and where it can be hardest to achieve. 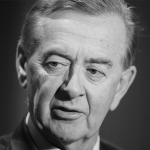 When Preston Manning was elected as leader of the official opposition he saw many problems with how Canada’s democracy was working. Parliamentarians had few free votes, backbenchers had little power, committees were not working well. Question period was a circus. His initial goal was to try and change the institutions. He proposed senate reform. He tried to reduce partis anship in the House of Commons. For example, he would give ministers questions in advance of question period so that they could prepare thoughtful and informed answers. It didn’t last for long. Most MPs prefered the posturing and pettiness that would get them on the 6 o’clock news. So, when he left Parliament, Manning decided to try another solution: to strengthen the “values, knowledge, skills, ethical foundations” of the people in politics. What better way than a school for politicians. After all, if you want to be a doctor, lawyer, teacher, firefighter, a train engineer, nurse, a soldier, or entrepreneur, there are schools for all those things. Why not for politics? Politicians manage the biggest budgets and run the largest organizations in our society. They are responsible for the laws and regulations that govern every aspect of our lives. So Manning approached UBC to propose a school for politicians. For the past 3 years we’ve been running a Summer Institute for Future Legislators. The goal is to focus on what it means to be a legislator. To educate politicians so they have the knowledge, discernment, judgment, courage, capacity for deliberation, and other capabilities or virtues necessary to make good laws and wise policies. Good laws and regulations are important, but they are not enough. We also need wise practitioners. We need practitioners with the skill and knowledge to interpret and apply laws and regulations. 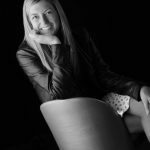 And most importantly, we need wise practitioners—like Liz Evans, Preston Manning—to help us design organizations that encourage the people who work in them to become wise practitioners. I began this series with the tragedy at Lac-Megantic because it is a metaphor for the runaway problems we face in our complex and inter-connected world. Runaway climate change. Runaway epidemics. Runaway violence. Runaway inequality. In the face of these challenges we need practical wisdom like never before. I have given you examples of wise practitioners – people who have confronted morally-significant problem and have been able to grasp the full meaning of those problems. They have the character traits and virtues necessary to be good practitioners. They illustrate through their example how good practice involves more than rule-following or responding to incentives. They illustrate how a wise practitioner will often refuse to accept the narrow definition of a problem imposed by an organization—a bureaucracy or party—particularly, when that gets in the way of the aims of an activity. Sometimes we need to step outside the “boxes inside boxes inside boxes” that the organizations we work in create. Wise practitioners are often at the forefront of efforts to change the institutions in which we work to enable the kinds of practices that truly lead to the public good. We need practical wisdom in all aspects of our lives—our friendships, our families, our work places, our leisure activities, and in our politics. Happily, practical wisdom is something that comes naturally to us, and is an intrinsic part of what it means to be alive. As Aristotle understood, the pursuit of the good is the very essence of what it means to live a fully human life and to flourish in the communities in which we live.